For the thrill seeker in us all ! 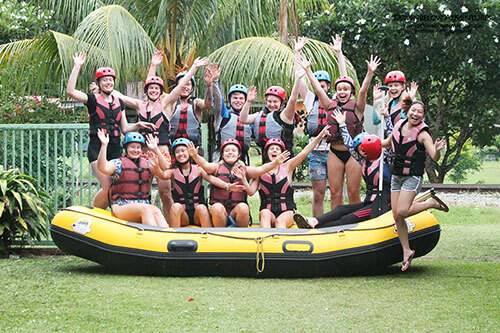 PADAS White Water Rafting day trip lets you ride Class III-IV White Water Rapids that are fun, exciting and promise you a trip that you will never forget. Located near the southwestern interior territory of Sabah that is only accessible by train (used since the late 19th century in Borneo). 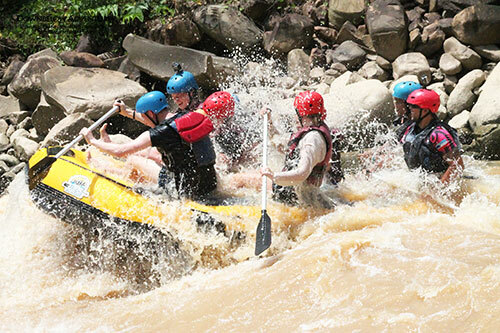 The 9km of white water rafting makes it one of the longest rafting journeys in Borneo. Complimentary Pick-up/Drop-off within Kota Kinabalu City Centre and Tanjung Aru area. Additional transfer fee per person is applicable if you require Pick-up/Drop-off at any of the locations below. 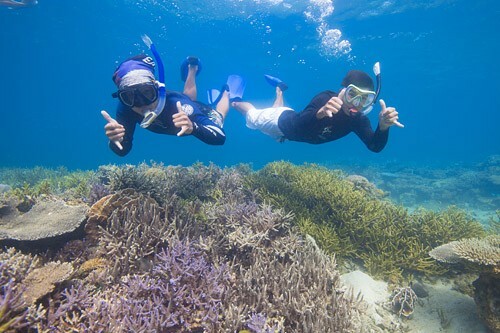 Between giant waves of up to 6ft height enjoy the un-touched beauty of Borneo’s jungle territory. 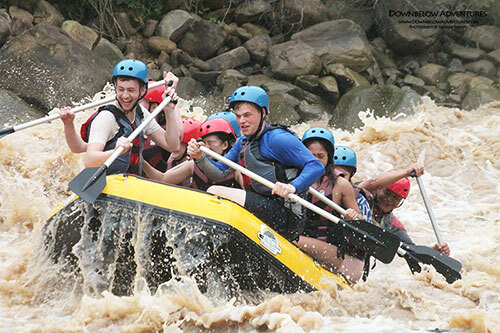 The PADAS white water rafting day trip is suitable for beginner and more advanced rafters. First timers will enjoy the thrill of the ride providing they don’t mind getting wet ! 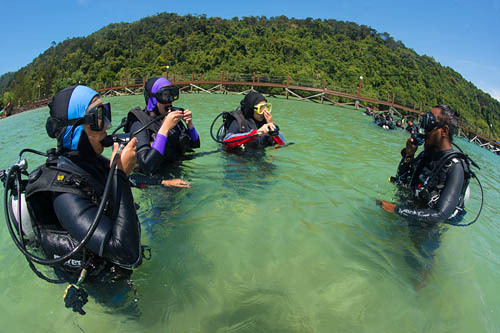 At the end of the rafting, which covers seven grade 3 – 4 rapids, participants arrive at Rayoh Station and board a local train for their return journey to Beaufort then return by road to Kota Kinabalu. Participant must be physically fit, not suitable for the NON Adventurous. Kindly be advised the train (used since the late 19th century in Borneo) during your trip is a basic public train therefore expect to share the ride with local villagers and other rafters. Also, train’s arrival and departure schedule may change from time to time as it is operated by the government railway authority. Hence, should this occur please expect a longer waiting time at the point of departure as well as on the overall overland journey – your itinerary will have to be adjusted to accommodate the changes. There may be a possibility that your Padas White Water Rafting Program may be cancelled on the morning of your activity due to unforeseen circumstances (ie. landslide, railway track’s sudden maintenance, train breakdown, etc). Should this happen, you may either re-schedule to another day should you have another day available or change your activity to Kiulu White Water Rafting (Grade I – II) where a refund will be given based on the difference of the programs. Should you decide to not proceed on both alternatives, a full refund will be given on your rafting day. Your in-water Rafting activity will be thoroughly guided by a certified professional raft guide/master with years of experience. 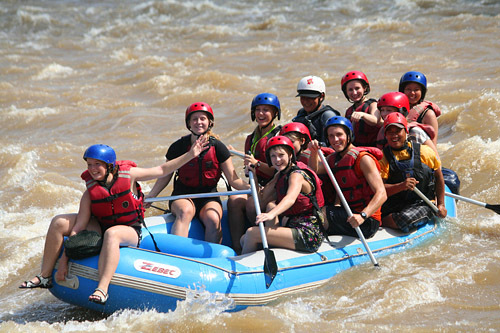 During your travel to and from the Rafting Starting and Ending Point he/she may not be immediately available to you therefore please do familiarize yourself with the rafting team upon pick up and do not hesitate to approach any members should you require assistance and guidance during this time. Due to weather conditions, activities may be subject to re-scheduling to best meet operations, as well as client’s health and safety. All participants are required to sign a liability release form. Please inform when making booking if there is a special dietary requirement e.g. vegetarian, allergies.